Имате въпрос към OYO 10222 Hotel Anbu Park? 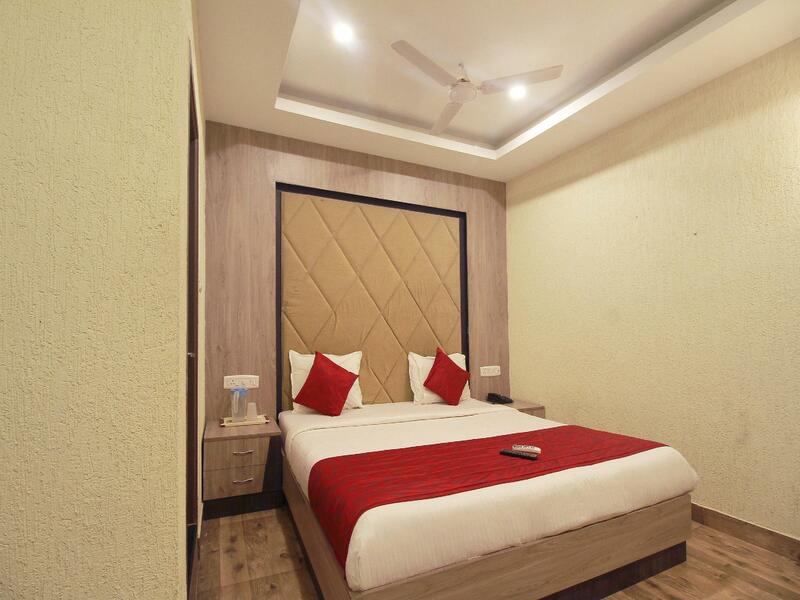 Located in the lovely area of Trichy Central Bus Stand / Railway Junction Area, OYO 10222 Hotel Anbu Park enjoys a commanding position in the shopping, culture, religious interests hub of Tiruchirappalli. From here, guests can make the most of all that the lively city has to offer. With its convenient location, the property offers easy access to the city's must-see destinations. First-rate services and facilities that define the OYO Rooms experience await you at OYO 10222 Hotel Anbu Park. A selection of top-class facilities such as free Wi-Fi in all rooms, 24-hour room service, daily housekeeping, 24-hour front desk, room service can be enjoyed here. All guest accommodations feature thoughtful amenities to ensure an unparalleled sense of comfort. The property's host of recreational offerings ensures you have plenty to do during your stay. With an ideal location and facilities to match, OYO 10222 Hotel Anbu Park hits the spot in many ways. Good location and place. It has a restaurant below and bar on top which makes it a good bet at this price! Convenient location for bus station, good food in restaurant and bar on top floor is nice. Bed comfortable, good AC and room spacious. Unfortunately, bathroom was not too clean and had an awful smell from drains. Several air freshener sachets provided by hotel did not help. Chair was dirty, curtains didn’t fit window properly, had to ask several times for a second towel (eventually got it the next day! ).